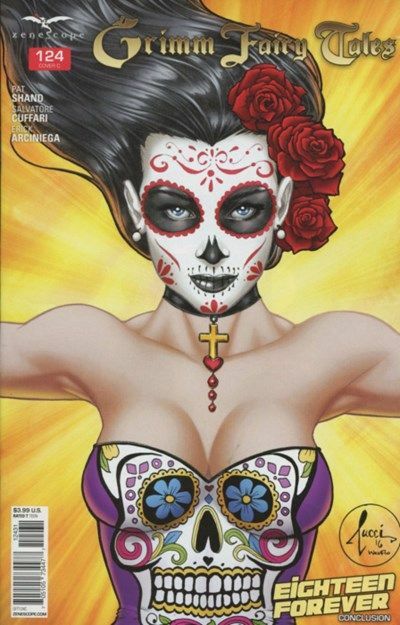 EIGHTEEN FOREVER, PART THREE - The penultimate issue of Zenescope's longest-running series, GRIMM FAIRY TALES! After fleeing from Arcane Acre, our heroes find themselves facing off against Bloody Bones' final defense: the gargantuan Kraken! As we race toward a conclusion 125 issues in the making, the students of Arcane Acre say goodbye to a dear friend… and Ali makes a devastating choice that might tip the balance in the war against Bloody Bones.